And this is another scent bottle that we set free from Mike & Sue's store room on our last visit! Made by Michael Hunter for Twists Glass in 2006 it is known as Stepping Stones. 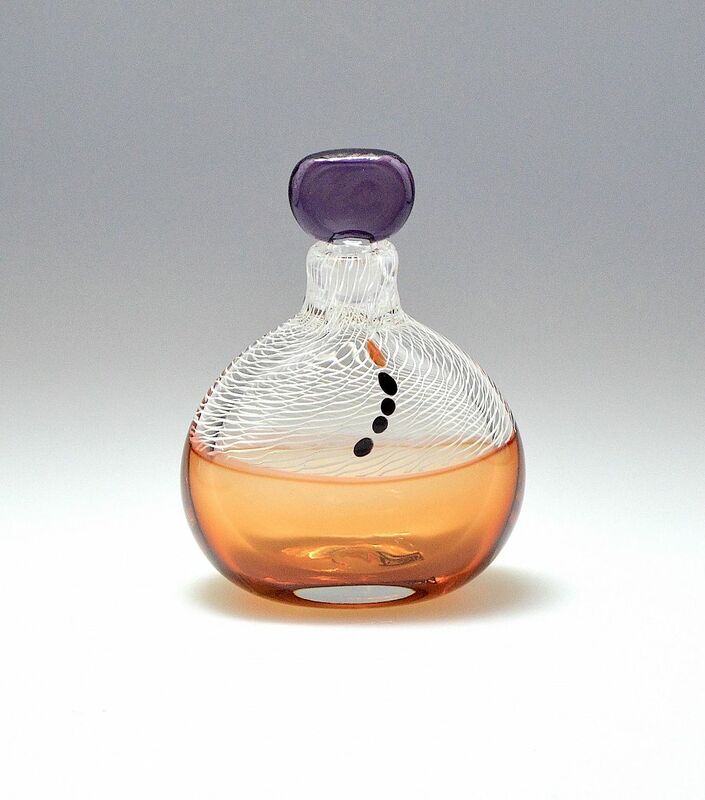 The scent bottle is made using the incalmo technique with an orange base with a white latticino cane top layer inlaid with 5 glass "stepping stones", 4 black and one orange. It has a flat purple glass stopper. The base is scratch signed "M Hunter Twists 06 Stepping Stones" It is really nice to have some early pieces.